Suitable for a 1 to 6 bedroom home. 2000 litre per day system. 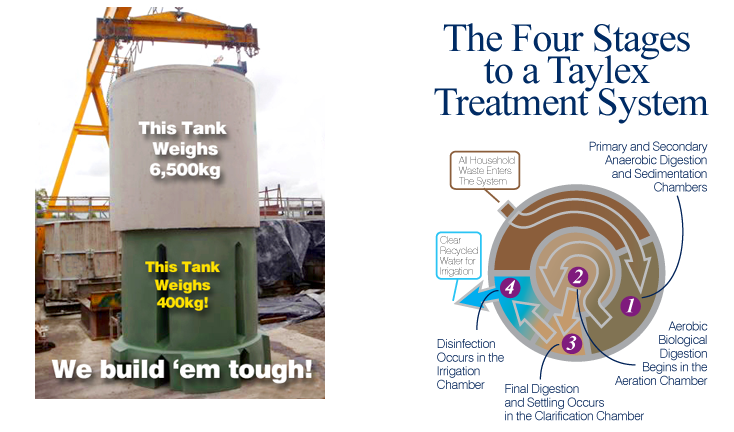 The Taylex plastic tank is probably the strongest and most indestructible poly tank made for a home sewage treatment system in the world. The Plastic Taylex ABS system has been created for difficult sites where installing a concrete system is not possible due to site constraints. Standard poly tank weighs 600kg.